BonesPro 4.70, the most efficient skinning solution for Autodesk 3dsMax, calls into play massively accelerated computations, improved tools and workflow optimizations. BonesPro 4.70 introduces immense speed up calculations both in core and in the viewport representation. 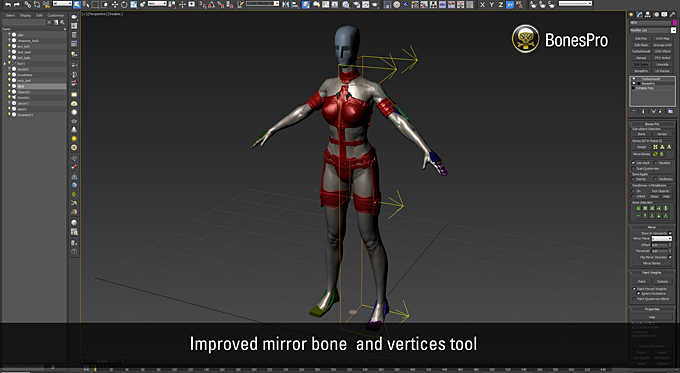 Skinning computation and soft body deformations are now fully mutithreaded. Hierachy independent skin deformers (Parabones): any geometry in the scene can now be a deforming skin object. Lightning fast parametric, hierachy independent skin deformers (Metabones): Metabones can now be free, unlinked objects in the scene. 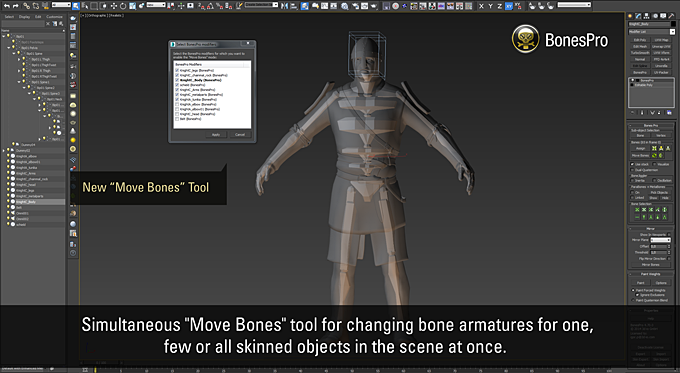 Simultaneous “Move Bones” tool for changing bone armatures for one, few or all skinned objects in the scene at once.